I have two Kids and I found that most of their time was spent on doing Homework only. Afterward, it was very difficult to ask them for self-study. Sometimes they were stressed due to homework. Stress may not permit children to focus appropriately while doing homework. Over Burden and Stress of Homework may result in negative in their Performance. 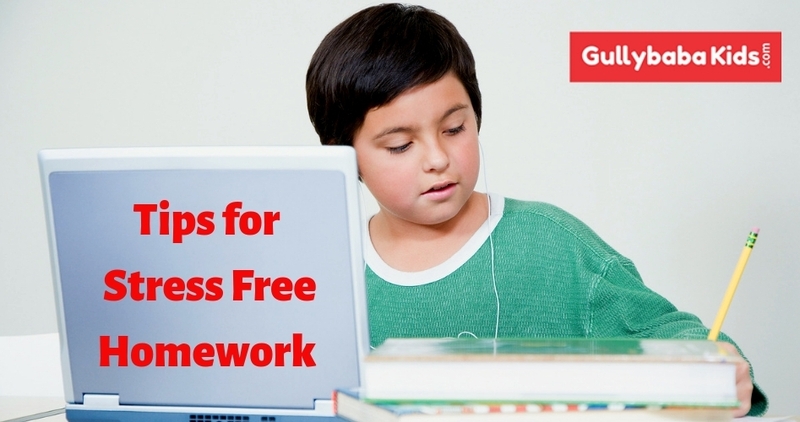 After Reading the Gullybaba Kids Book and Consulting others I have created the following Golden rules which will help you and your Kids to do the stress Free Homework. It will Create a big Impact of how the Parents are behaving with Kids. If you make conversations in Positive way then it will give them an extra boost to do the Homework. Whenever your Kids will see a lot of Work in front of them they will be over Burdened. That’s why the best Trick is to Divide the Homework into Parts and it will make the work easy. Each portion can be finished in a shorter Time. If more than a part of the task has to be complete in a day then adolescent is advised to give breaks in between. Time Management is Important in every aspect of Life. If you teach your Kids the Value and Tricks to manage the Time then they will love to do their work. To complete the homework project in time, Time is a Big essence. Parents have to help the children in isolating the free time in such a manner that all the activities, as well as homework, can be simply done. 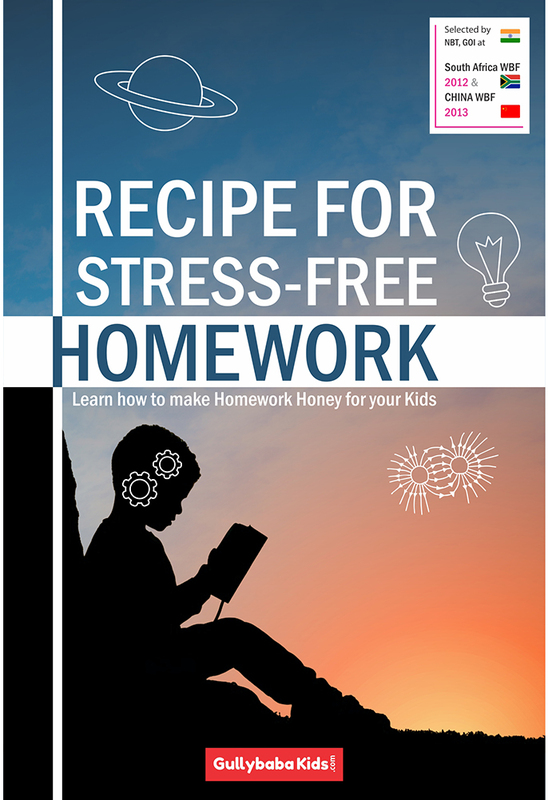 This will really help the students to do the stress-Free Homework in Time. Some homework may take longer time and exhausting for Kids. Therefore parents must coach their kid’s relaxation methods to get relieved of monotony. Deep breathing, Playing, Talking with Parents, walking in the garden etc can help out the adolescent to decrease the pressure. To remain mentally and physically healthy, Parents should make sure that kids are taking healthy food and drink before they start doing the school Home Work. A Healthy and Balanced Diet will help in increasing concentration while making the homework. So Above was the Tips for stress Free Homework for Your Kids. Stay Connected with Gullybaba Kids as Gullybaba will regularly share the Tips and Tricks which helps the Parents and Kids. Don’t Forget to comment Below and Sharing the Post.